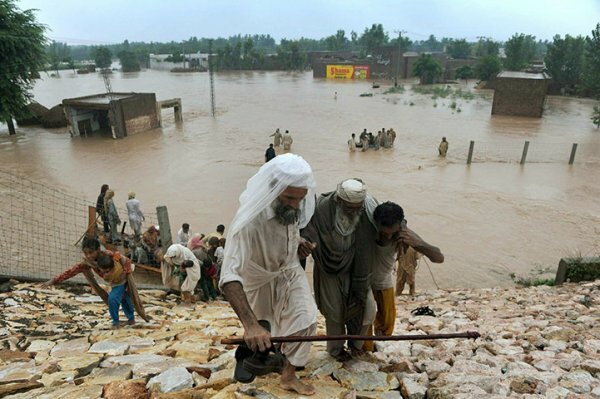 The Hague, 12 August 2010 – As the heaviest monsoon rains in Pakistan for 80 years continue into their second week, the Unrepresented Nations and Peoples Organization (UNPO) has expressed dismay at the widespread devastation wrought by the rains and floods in Gilgit-Baltistan and mourns the loss of lives during the tragedy. Pakistan’s National Disaster Management Authority (NDMA) has not improved its operation since the disastrous response to the 2005 Kashmir earthquake when it suppressed foreign financial aid that had been intended for the region. The agency has also been unable to provide relief in the Hunza valley after a landslide blocked the Hunza river in January 2010, causing a lake to build up and submerge several villages. In Gilgit-Baltistan more than 70 people have died so far, but several hundreds have lost their homes and any source of income. As the situation changes by the hour access to the area remains difficult and the humanitarian aid, which reaches the remote area, is insufficient. The local administration is unable to help; they do not have the authority to negotiate on behalf of the population which elected them nor do they have access to financial resources. Therefore the UNPO appeals to United Nations, the European Union and aid donors to Pakistan to monitor the distribution of humanitarian aid and to ensure that it will be delivered to the people that need it.